David and Valerie O’Gorman were both raised in Dublin but in entirely different backgrounds. David was raised in a Catholic home and Valerie in a Church of Ireland home. David was raised in a working class home while Valerie was raised in an upper middle class home. When they met though they had one thing in common—neither of them knew God and they both knew that they needed to. As a young couple they searched for God talking to all the cults but found no one that could point them to Christ. They spoke to Jehovah Witnesses, Mormons, Hare Krishnas and even looked into Transcendental Meditation. However nothing satisfied; nothing filled the hole. God was still a far away mystery. Time passed and the O’Gorman’s started a business and bought a home. Soon there were two children and life was very busy. During those years David found satisfaction in business but Valerie was concerned for the children. They needed to be taught about God but how could she teach them about a God she did not know herself. She became dissatisfied and began to search once more. She took the Golden Pages and made a list of the different churches in the Tallaght area. She began to phone them with a list of questions regarding God. When she phoned the Baptist church the Pastor’s wife amazed her by answering each question with an answer from the Bible. Valerie began to attend Lifegate Bible Baptist Church and after a Gospel service one Sunday night she realised that she was a sinner and that Jesus alone could save her. In her home after the service she called upon God to save her and He did. At last she knew God and had peace. She knew she was going to Heaven and now she had something to teach her children. David was more than a little disturbed by his wife embracing religion and to make matters worse she could tell him that she was going to Heaven and, because he had not been born again, he was going to Hell. He felt that as a good family man he had nothing to worry about. God would not send him to Hell. The Pastor of the church began to visit and would explain that all men were sinners and that failure to receive Christ as Saviour would mean an eternity in Hell. For four weeks the Pastor came and each night they disagreed on this point. In David’s mind he was too good to go to Hell. On the fourth night the Pastor left behind some photocopied sheets about Christianity and as David went through them he came to a series of questions on the commandments. As he read he realised that he was not as perfect as he thought. The eighth commandment says “Thou shalt not bear false witness.” Lying was one of the sins that Christ had died for. The Spirit of God began to convince David that he was a sinner after all and that his sin was so bad that Christ had to die for it. For the first time in his life he realised that Jesus hung on the cross for him. If God had paid so high a price for his sin and he refused the gift of salvation he would surely be sent to Hell. That night in his bedroom David turned from his sin and asked Jesus to save him. David and his family moved to America for four years so David could receive Bible training. He attended Maranatha Baptist Bible College in Wisconsin. He graduated in 1992 with a Bachelor of Arts degree. He was then called to be the senior pastor at Lifegate. 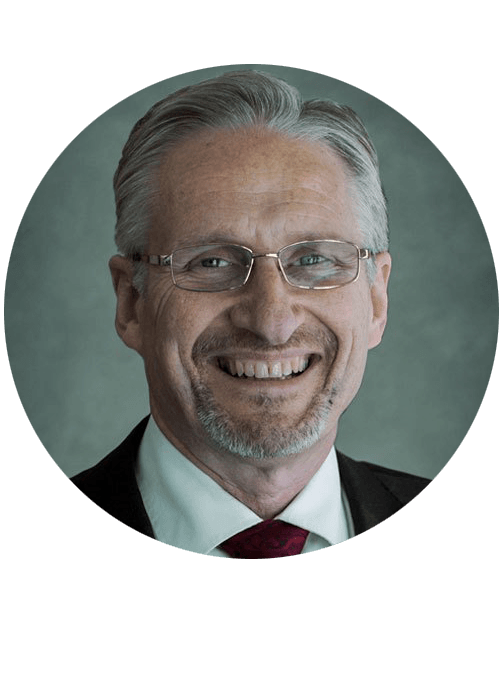 David has been the pastor of Lifegate since 1992 with a growing congregation. His ministries include Children’s Ministries, Weekly Outreach into the Community, and a Reformers Unanimous Addiction Programme. Pastor O’Gorman’s heartbeat is that of a pastor. He loves his church, and even through growth over the years, Lifegate has maintained its close-knit family atmosphere and its passion for serving people. Pastor O’Gorman and his wife, Valarie, have been married for 35 years. They have four children—three daughters and one son.